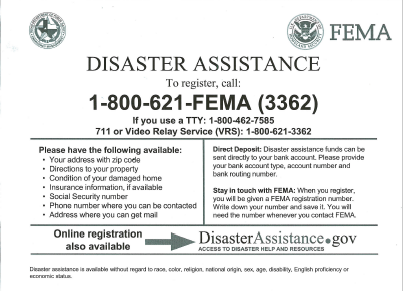 Individual Assistance beginning May 9, 2016 through June 24, 2016, 9:00 a.m.
A Declaration of Disaster was executed by Mayor Frank Jackson for the April 17th, 2016 widespread or severe damage, injury, or loss of life or property resulting from severe flooding. 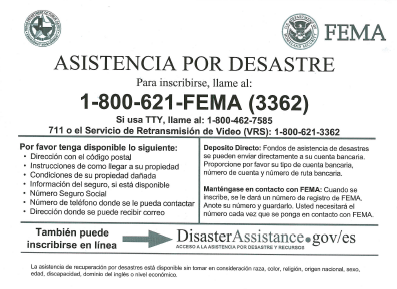 The City is working with Waller County and the State of Texas Division of Emergency Management to assess the damages and seek federal assistance for recovery efforts. Follow the link below to Waller County Emergency Services to complete an online flood survey. Print the form to the right, complete it and return it to City Hall.